I hope your team won last night, and it’s worth the hangover this morning =:). 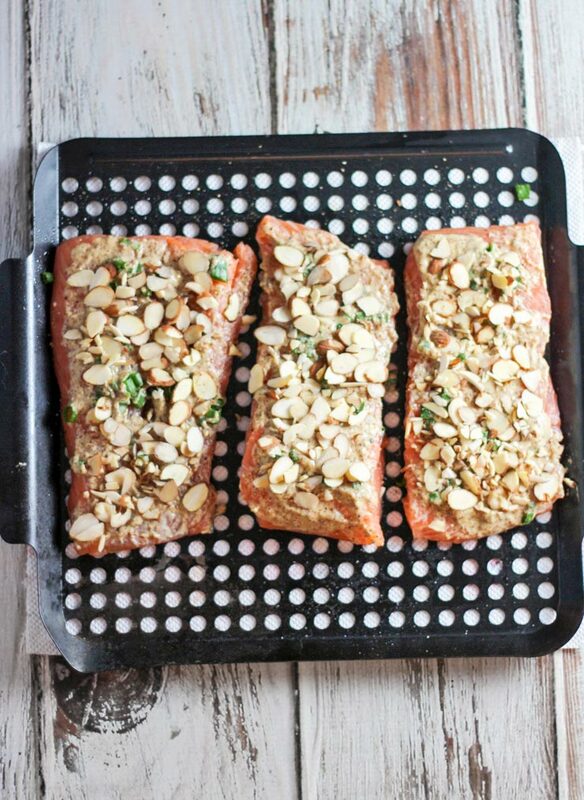 Today, we are going to talk about Almond Crusted Salmon for Man Food Monday. I was talking with Michelle about the dietary changes we are looking to make, and the fact that we need to add in more fish and less cow to our diets. I am resistant, mule backing up a ladder resistant, but I love my wife, so I am going to do as the experts say and start eating healthily-ish….. I just cannot give up all the delicious bad food I make, so have no fear there will still be lots of smoke and grilling going on. 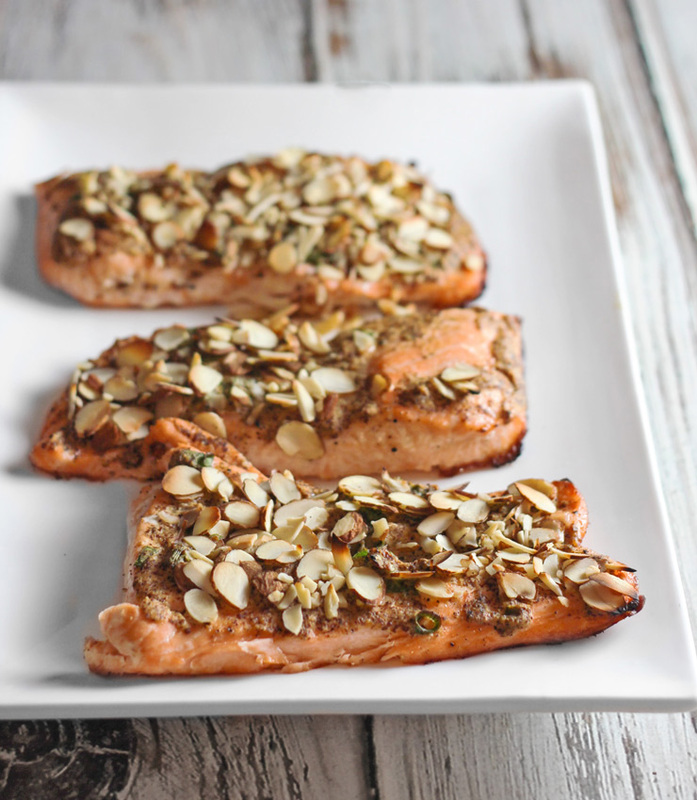 This dish is one of those that gives a good nod to Paleo eating, which, if done correctly, can be a much better eating plan. I am not going to go into the details around a Paleo diet, and I am also not saying that I will be only eating on that diet plan. I am saying that from time to time it makes sense for us to eat that way and when we come across an idea that is tasty, I will pass it along to you here. Nuff of that! I was very pleased with how this turned out. Not only was I pleased, but Michelle was equally as pleased. Which is good since we do cook for each other. This is a simple dish and does not take long to put together. 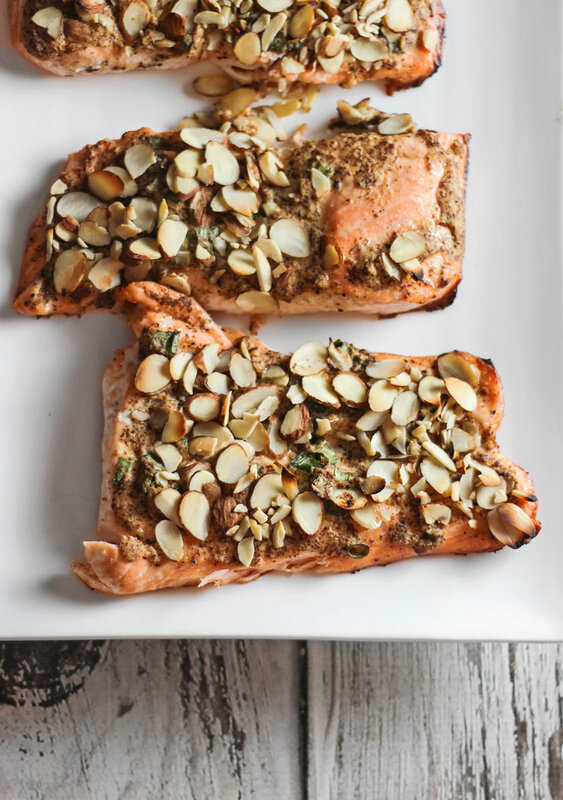 There are few ingredients, so with the right planning, you can throw this together at the drop of the hat…Guy’s this would make a KILLER Valentines day evening meal! Add in some green beans, some type of starch, and a salad with vinaigrette dressing after that all you need is the chocolate dipped strawberries for dessert, and the rest of the evening will take care of itself. Sprinkle with almond slivers and press lightly to make them stick. 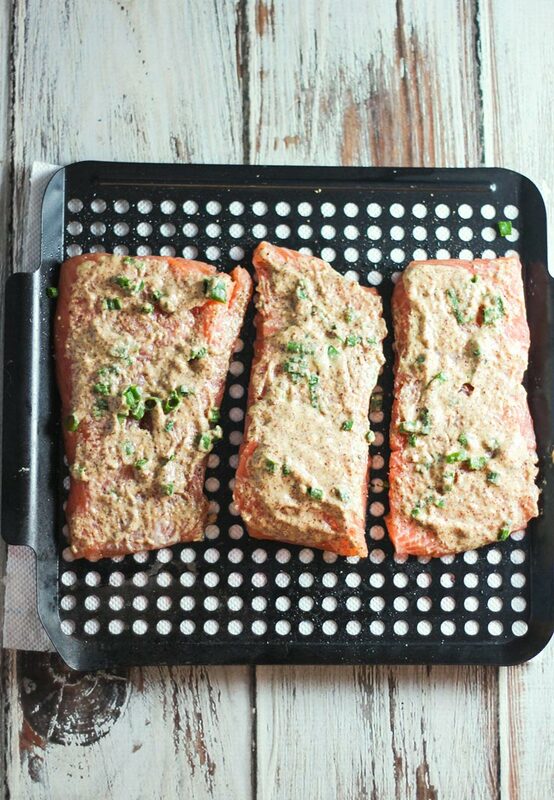 Place salmon on grill pan and cook for 10 minutes or until done....everyone has their own level of doneness. 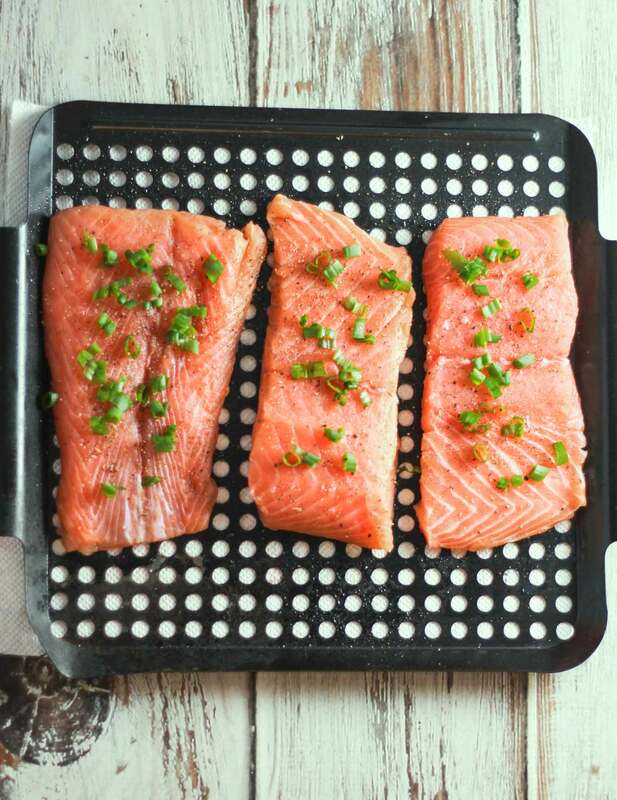 Remove salmon from grill and allow to rest for 5 minutes before serving. 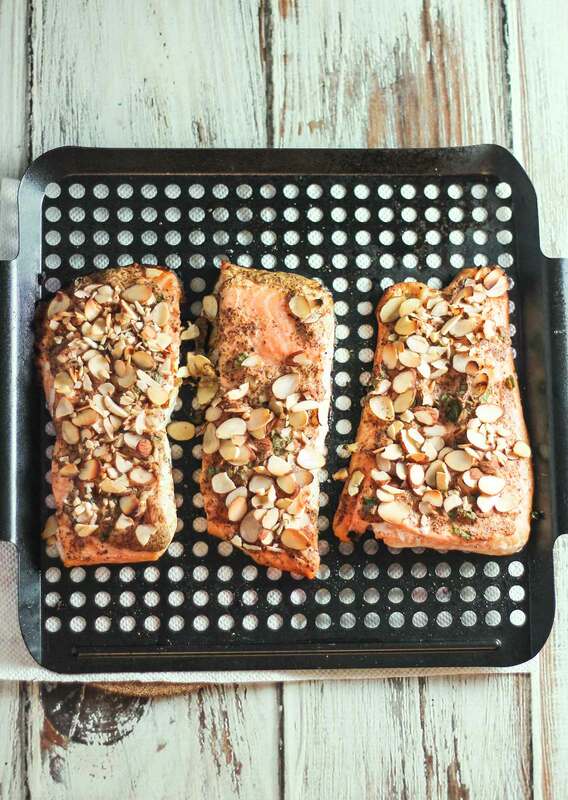 Salmon will continue to cook in this resting state. As I said it is possible to use almond flour or coconut flour in place of the slivered almonds. Just make sure no one has a nut allergy if you going to make this as a surprise dinner ;). 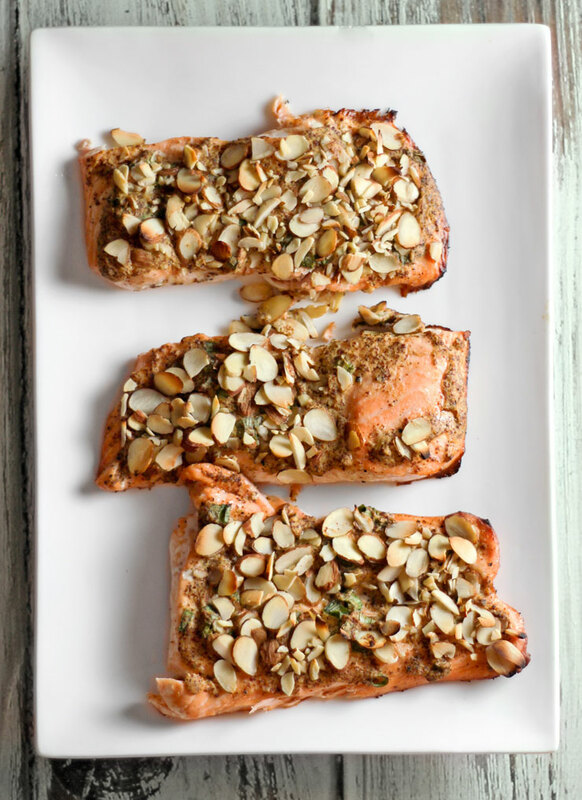 We served this with grilled sweet potatoes and a neat green bean recipe from Nom Nom Paleo that matched well with what I cooked and that salad that I need to have with every dinner. As I said, good surprise dinner for the sweetie in your life….ladies leave this page open on your husband/boyfriends computer as a HINT…..
‘Til next Monday have a great week and be safe. The almonds are a nice touch! These look tasty!